Egwumba Ugochukwu P.: When will you Marry? 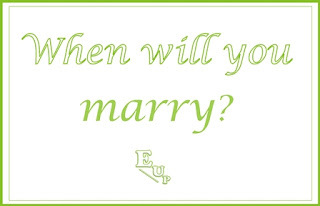 “When will you marry? This year, Next year…” This is a game I once played as a kid. Did you play it too while skipping rope with friends? As you skip the rope, the 12 months of the year will be mentioned and the month you miss the skip, becomes the month you will marry according to the game. You will be surprised at how well I can skip – I played this game a lot as a kid and I remember how I would intentionally allow myself to be caught on my favourite month (February). Somehow, then I always wished I get married on my birth month. Finish it yourself naa… lol. You might be wondering why on earth I chose to blog on this topic. It is obviously one of those topics I consider to a large extent, a gender bias topic. The female folks seem to be the ones that bother themselves a lot about this question – not that guys don’t too, but you just can’t compare. Why this is the case cannot be farfetched, as a couple of reasons will quickly come to mind; It is sometimes said that ladies have their expiring date as it concerns their marriage worth. A 22 years old girl already has marriage exclusively at the back of her mind, that’s if she is not married already. She gets to 25, and she is on top of her game, trying hard to ensure that she sways any heaven sent guy who would propose to her. By 28 – 31, it becomes more than a serious matter. Then she begins to wonder and ask herself who she has offended, and most likely starts visiting spiritual houses for any solutions they can offer. 33… hmm! But, is this expiring date thing for real? “Makes me feel like marriage is close, very close.” She said. I have tried to imagine what must have been going through her mind for her to have expressed such fears, but that’s the best I can do; just imagine. "she has not shown us her boyfriend yet, not to talk of mentioning a guy in a conversation before, and it is over a year now since she graduated from the university". "this my child does not want me to see my grand children before I leave this world, his (her) plans will not work". “The last time I checked, many of my classmates in school are now married. They keep inviting me to be in their bridal train. My wardrobe is filled with asoebi, some of which I have not even finished paying for.” This came from a friend of mine. She told me that she had been chief bridesmaid for A, B and C. This instance may have been exaggerated, but the pressure is real and it can be frustrating for many. “What is wrong with me?” Some would ask. 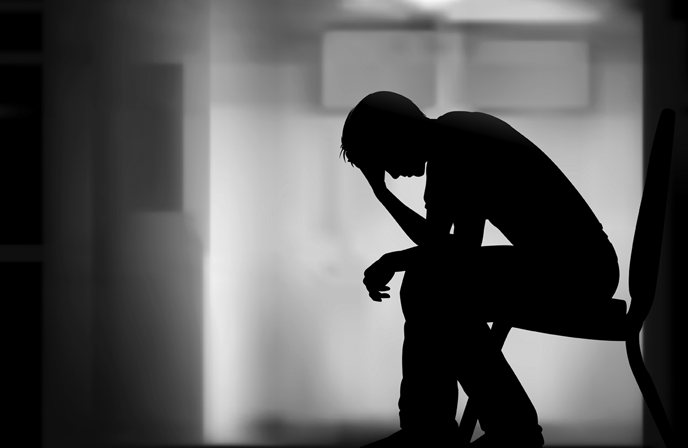 “Am I invincible to all these men, or am I not just good enough to be asked out or what?” This can be a real cause depression for many. Answering the ultimate question, “when will I marry?” then becomes an issh. How do you see yourself? What level of esteem do you hold for yourself? How well have you improved yourself over the years? What is your interpersonal relationship skills like? What are your domestic skills like? What kind of influences do you allow on yourself? What books do you read? What movies do you watch? Who do you roll with? What is your spiritual life like? Do you even have plans for yourself? All these, if well answered can guide you in answering the “when will you marry” question. "As soon as I finish my University education I will get married", a lady said. Another: "I want to make money first and be comfortable before I will look at any mans face". And another: "before I get to 24, I should be married" . "My parents are willing to support me get married to this girl", a guy said. And another: "Mehn, God's time is the best, I am still enjoying my life now". Obviously, you don’t just wakeup and marry. It takes a process which for me begins with friendship before any relationship (basic and intimate) and subsequently, courtship and marriage. The progression you can make from one stage to another, if at all, is totally your choice, no matter the influence surrounding it. PS: Thanks for taking your time to visit my blog. In a special way, I sight you Chincobee, Blogoratti, Anita, Justina et all... You may not know, but I am a fan of yours: keep inspiring me. Thanks. Beautiful post Ugo! I like your line of thought. You've raised very important points in this post. I wrote a long comment and posted it but network issues cut it off. Now I no get strength to type again. Maybe I'll come back later. Very interesting read as you tried to tackle this mysterious question. My take on it is, why is marriage even important at all? Why do we feel as if our life is not complete until we check that box that says married? Once it stops being a priority to you then you can no longer feel fear when someone asks you that question. Great job. Thanks for the shoutout. Its great to have you comment here. I have been following your perspective on being and staying single for a while now and all I can say is "interesting". Marriage! In human existence, there is no any institution that is as important as marriage. it is the only means through the human existence is yet to go into extinction...it is the only source of family circle. No wonder in my own religion believe, the issue of marriage and when to get married was discussed at length. Though I don't know that of bible. Aside religion, in African culture, I don't if there is any celebration that is more worthy than marriage. so all this placed marriage above a mere question of "is it important?" As to the right time to get married, ladies time is so limited. you can't expect a 35years old lady yo still feel normal for not been married. The only problem we have is that, presently there is undue pressure on young ladies yo get married than before. I am with you on the fact that there is undue pressure on young ladies to get married these days... Many are really suffering the consequences. Yah, you are right when you said that it is a gender bias issue.. It starts from somewhere and we all need to recognize our time to marry as women even men too. There is time for everything..
Ify, you know God answers prayers. I am sure God will answer your mother's prayers in his time. As if you don't pray about when you marry too...lol. Seriously, the pressure seems to be everywhere, even though Anita feels differently. Ah, a lot. This marriage thing is probably one of the most complicated subject matter in the world. My mom has even started talking of me getting married and giving her grand children. Well I guess that's fair. But I'm so afraid of making a marital mistake that it is practically affecting me (fear of the future). You need to make lots of effort to conquer that fear o... None is perfect. There is no mistake you would make today that has not been made before. Speak with more advanced people (your mom inclusive) in a quest to learn from the experiences of others mistakes, so that you don't repeat it yourself. Hahaaha I was a professional skipper back then. Lol this really made me smile. I will have to contest with you someday soon. I am glad I was able to put a smile on your face. Tom-Tomi, I dey o... Long time. I just took my time to read this post well. The pressure is crazy menh. They want you to get it right, take your time in other to make the right decision and at the same time, they want that time to me now. Our parents need to take chill pill abeg, we also wanna get married but they should allow us make the right choices. I think there is more pressure on the ladies. Even ladies pressurise themselves. Thanks for thanking me bee. Parents are supposed to guide us in the choices we make, and not make those choices for us. No doubt, the pressure is more on the ladies... Guess the ladies need to take some chill pills too, abi? But they should remember that the clock is still ticking o - that's even a greater pressure. There is just pressure everywhere. My take on the marriage issue is that one needs "strength of character" to withstand the societal and family pressure. These influence/pressures even goes beyond "when will you marry" to "who do you marry" and "how you live your lives in the marriage" and if care is not taken, a lot of amateur couples give in to these pressures and break up their homes. Beautiful write up, Kudos Ugo. You just brought back those lovely childhood memories. Now to the topic in question hmmm its quite a complicated one. I want to look at both sides of the coin that's from both our parent's angle and ours. I don't blame most parents for doing that its expected in as much as some go to the extreme and all that. To me its our culture I guess the english culture have helped to redefine some part of it, but cultures don't just go away so easily. Truth be told we will be parents some day you don't want to know your reaction tomorrow. Yea you can say you won't do it when the time comes you will definitely poll the my hands were tied statement. For men and women who are confused and pressured, at some point everyone does get confused I will suggest closeness to God on making right decisions, marriage is more than begets the eyes. For me pressures come everyday that it seems not normal if they don't, weird right? At some point we can't keep running, we all have to face our monsters no matter how big some day. My candid opinion cheers!!! Your perspective is great... preparing our psychic to face the pressure of who to marry is very important, it sure helps to tackle it. I am glad you were finally able to comment here, even though as anonymous.